Being witness to the evolution of the Indian cinema, you have come across many legends and icons who have redefined the face of entertainment. One among the current times is the living legend Amitabh Bachchan. Even he had his share of pitfalls before achieving success. With Television becoming a booming industry, many actors are trying their luck on the small screen in the form of serials or TV shows. Though top Bollywood actors have been following the trend for over a decade, Tollywood has been reluctant to do it. Nagarjuna began this trend of top actors heading to Television in Telugu when he became the host of the popular game show ‘Meelo Evaru Koteswarudu.’ MEK was an instant hit and Nagarjuna being well read and witty, remained the perfect choice for the host! After the successful completion of three series of ‘MEK,’ it’s heard that the fourth series would have a different host. 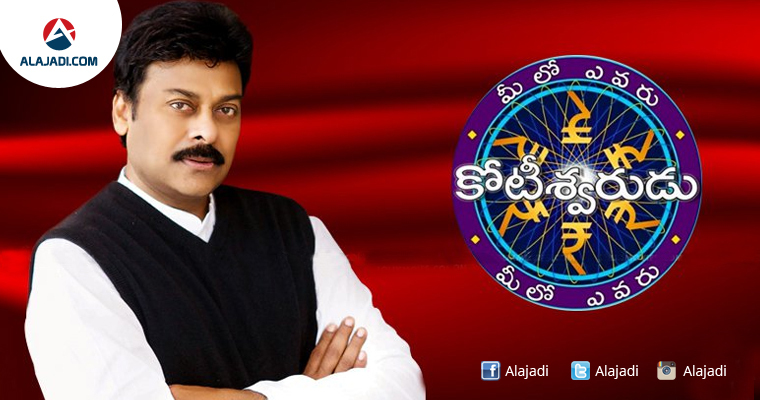 To everyone’s surprise, the new host would be none other than ‘Megastar’ Chiranjeevi. As it’s a totally different ball game altogether, Chiranjeevi is reportedly taking the help of voice coaches and body language experts, to make a lasting impression. The other interesting thing is, Chiru’s comeback is happening on December 12th and it happens to be style samrat Rajinikanth’s birthday. Birthday boy Nag fully excited…!